Very early Angel Investments tend to use convertible notes as the basis of the deal terms. Each of the Oregon Angel Conferences and the Seattle Angel Conference use a convertible note. There are many different terms in the convertible note, some of which can have a dramatic impact on the investment process. We would like to explore the details of the convertible note instruments, learn what they do well, find what they need adjustment on, and gain a deeper understanding of how and when to use convertible notes as a part of the Angel Investment conferences. With a very early investment, it is essential to keep the overhead of establishing and managing the investment to a minimum. As the same time, it is important to create a win-win opportunity for both the investor and the enterpreneur, so that the chances of success increase. We will hold a Convertible Note Fishbowl on Tuesday July 17th, 2012 to explore the terms of Convertible Notes. We have several lawyers who are interested in the conversation. The format of the conversation will be a fishbowl conversation, where the speakers will be at the center. 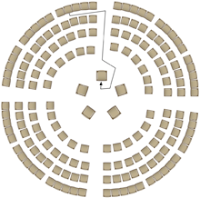 If you wish to speak, you will need to move to the center ring. If you wish not to speak, you will need to move out of the center ring. If you have questions about convertible notes and Angel Investments, please register for this event.